If you are familiar with the movie, Ralphie, the main character and narrator, reflects on the merriment and joy leading up to Christmas in his snowy, quaint midwestern town. The twinkling store front displays, fresh cut Christmas trees, festive parades, and of course the joyful (albeit freighting) visit with Santa. This quintessential holiday classic reminds me of everything I love about the holiday season. While living in the Pacific Northwest doesn’t guarantee us the snow-covered streets or frozen flag poles, Thurston County offers plenty of familiar, yet decidedly different ways to celebrate and welcome in the holidays. And Experience Olympia & Beyond has a few suggestions to help you create your own Christmas story (Red Rider BB Gun optional). For those looking for a good old-fashioned hometown experience, ring in the holiday season with Olympia’s Downtown for the Holidays, Sunday, November 25. 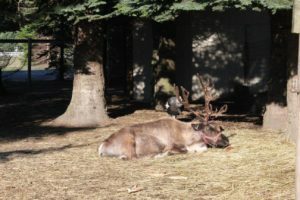 Best known for the Jingle Bell Parade and the annual tree lighting ceremony held in Sylvester Park, this hallmark event hosts family-friendly festivities all day. Step in out of the cold and back in time as the historic Hotel Olympian is transformed into a scene right out of the North Pole. Get your photo with Santa and Mrs. Claus before swinging by the Washington Center for the Performing Arts to view and vote on the elaborate, delicious smelling gingerbread houses and castles on display. Then come back at 5:00 p.m. in your best circus attire or Victorian apparel and take part in the Greatest Showman Sing-Along. Get a detailed list of the festivities by visiting the Olympia Downtown Alliance website. No trip downtown, especially during the holidays, is complete without window shopping. Grab a hot beverage and meander the cozy blocks of downtown Olympia’s shopping scene and watch as store fronts come alive for Twinkle Fest and pick up a unique gift for friends or family. This annual holiday decorating contest runs all season offering patrons an opportunity to vote for their favorite and win prizes. There may not be snow, but there will be ice in Olympia! The area’s first outdoor ice rink – Oly on Ice, located at the new Isthmus Park, is the newest addition to the holiday scene. Nothing says winter merriment quite like ice skating with friends. 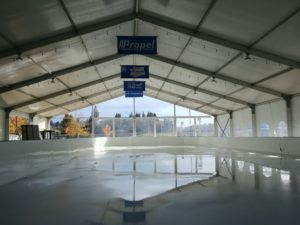 The fully equipped rink will open every day (except Thanksgiving) beginning November 16 until January 6, with the grand opening celebration on Sunday, November 25 during Olympia’s Downtown for the Holidays. For a decidedly different experience, meet your favorite Nutcracker characters or dress-up like a super hero during the themed skate nights, every Thursday following Thanksgiving from 4:00 p.m. – 7:00 p.m.
A must-do activity for my family each year is finding the perfect tree. Sure, you can buy one most anywhere, but if you are looking for an experience, explore one of Thurston County’s fresh-cut tree farms and holiday markets. A visit to Hunter’s Tree Farm, located at 741 Yelm Hwy SE, Olympia, is about much more than getting a tree. It is like a trip to Santa’s workshop (or at least his stables), complete with wood burning stove, live reindeer, and free hot cocoa and coffee in Mrs. Claus’ kitchen. And on the first three weekends in December you can even meet with the big guy himself. Another great option for artisan holiday decor, farm fresh foods, trees, and evergreen wreaths is Schilter’s Family Farm, located at 141 Nisqually Cutoff Road SE in Olympia. A visit to the nativity scene in the 140 plus year-old barn offers a sense of peace you won’t find elsewhere. And don’t forget to grab some of their delicious homemade fudge to fill a stocking or two. 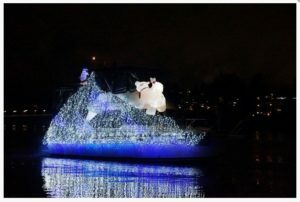 If you are looking for a different take on traditional light displays and parades, there are two unique options in Thurston County – one by land, the other by sea. On Saturday, December 1, head over to Olympia’s Port Plaza to watch the annual Parade of Lighted Ships. Santa and cheerful carolers welcome the fleet of floating merriment at 6:00 p.m. For an experience out of the elements, make reservations at one of the areas portside restaurants. On December 3, bundle up and head over to Sleater-Kinney and 7th Ave SE in Lacey for the Lacey Parade of Lights at 6:30 p.m. This homegrown event features vehicles of all shapes and sizes decked out in thousands of twinkling lights. Then stay around for the annual tree lighting in Huntamer Park. For those that love fire trucks and caroling, don’t miss the Tumwater Christmas Tree Lighting Festival on December 8 from 2:00 – 5:00 p.m. Local choirs fill the Tumwater Fire Station with holiday cheer, while the community takes part in free crafts and games as they await Santa’s arrival on the antique fire truck. And if you are looking for a family-friendly way to revel the end of 2018, round out the holidays at the Noon Year’s Eve Party at Olympia’s Hands on Children’s Museum. This fun spin on New York City’s celebration is for the kid in all of us. 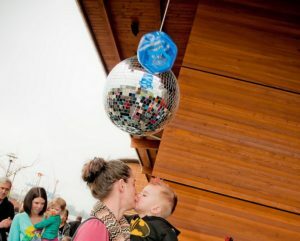 Meet storybook characters, do crafts, and experience the ball drop every hour (without missing out on any beauty sleep)! 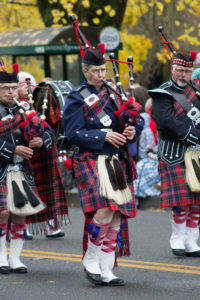 There are more than enough reasons to spend your holiday’s in and around Thurston County. Whether you are new to the area, visiting, or a long-time resident adding on to your holiday traditions, Experience Olympia & Beyond is happy to help you make the most of your personal Christmas story. Learn more on the Experience Olympia & Beyond website or give them a call at 360-704-7544.